Tampico fiber on shaped hardwood handle bored with hanging hole. 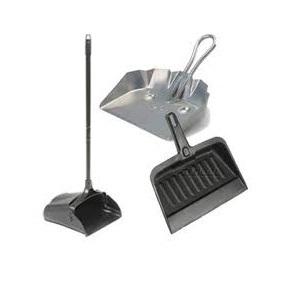 Lightweight style for quick cleaning automotive, carpet, small pots and pans and other jobs. 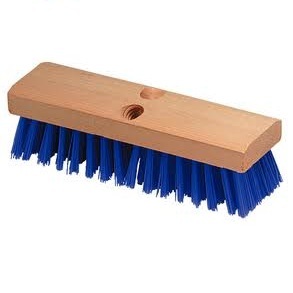 This brush gives top performance and long life. 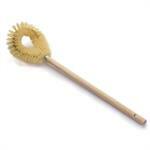 Twisted in wire and loop shape with Tamplene plastic bristles and 15" foam plastic handle with haning hole. Short handle utility tampico fill. 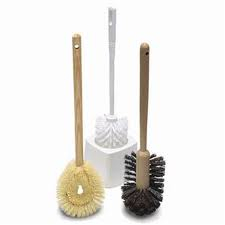 The following utility brushes are heavily filled with the finest materials available. Standard size sandalwood colored foam plastic blocks. 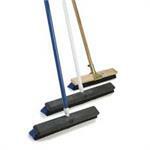 Can be used on tile floors, grouted tile, ceramic tile, porcelian tile, shower floors. 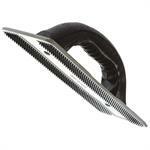 Stiff nylon bristle with 180 degree swivel pivot head. 13-3/4" wood handle 3 x 19 rows with scraper. Spoke brush tampico fiber fill. Great for detailing wire rims and wheels. Lightweight but heavy duty on performance. Three rows of stiff black nylon. Order handle separatley. 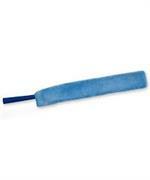 DECK BRUSH BLUE PROLENE 12"
12" wood block stiff blue bristle. 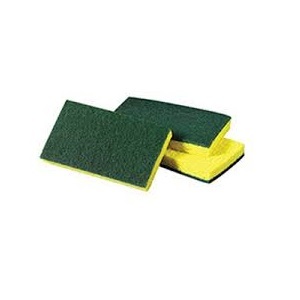 Used for scrubbing with solvents, acids or degreaser. 10" wood handle. 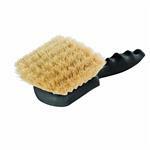 Heavy duty brush with scraper. 4 x 11 rows of steel wire. 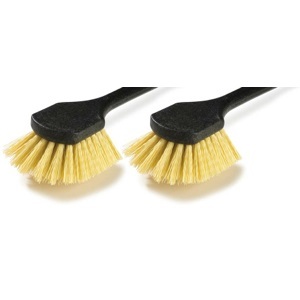 Large dish and sink brush with nylon bristle. 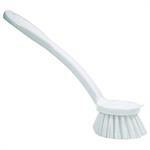 Great for cleaning pots, pans, and dishes. 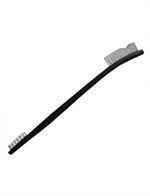 Two way toothbrush 7" overall length plastic bristle. Great for home use, automotive shop and worshop. For hard to reach places. 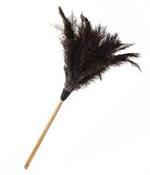 DUST WAND FEATHER DUSTER 13"
Soft and supple. Premium and economy grade ostrich feathers. 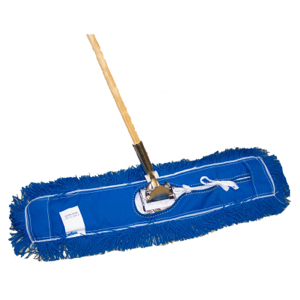 Effectively pulls dust away from surfaces. Will not scratch the finest surface. A must for plants. Ideal fro stock shelves. 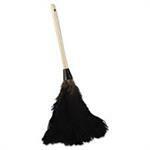 DUST WAND FEATHER DUSTER 20"
DUST WAND FEATHER DUSTER 28"
Rugged industrial dust pan made of injection molded plastic. 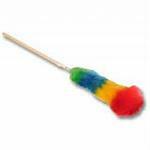 4" x 1 1/4" x 12"
MAGIC DUSTER SYNTHETIC DUSTER 54"
Rainbow colored magic duster cling onto the duster. 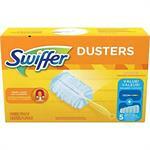 Dusting kit Traps, locks dust and allergens. Fluffy fibers trap and lock dust from even the tight spaces in your home. 100% natural. Polishes as it dusts and hygenic and washable. Will not scratch the finest surface. A must for Venetian Blinds. Ideal for the car. 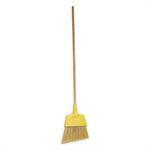 Picks up and retains dust. 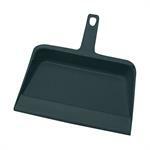 Rugged lobby dust pan. Injection molded plastic hopper. Strong handle swings freely when not in use or snap locks in upright position for easy use. 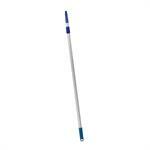 Flexible wand makes it easy for cleaning hard-to-reach places. 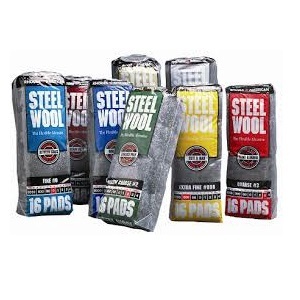 With a microfiber sleeve that can be used wet or dry and is machine washable. 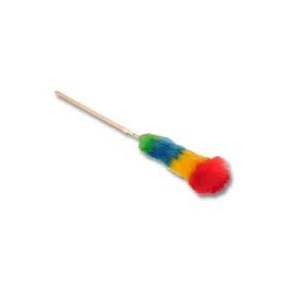 DUST WAND LAMBSWOOL DUSTER 16"
Grip'n Grab. Extend your reach. 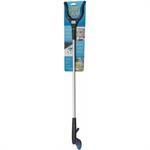 Extension pole that reches 55"
Pad holder used with super scrub pad for easy cleaning. 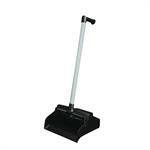 Designed for cleaning jobs where more pressure is needed at the work point. 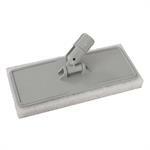 Great for walls, under furniture, baseboards, and other areas a floor machine won't fit. Handle attaches to holder, so there is no need to bend down. 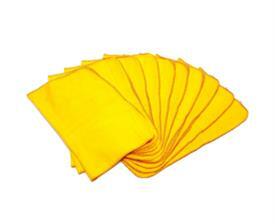 Use with utility pads.